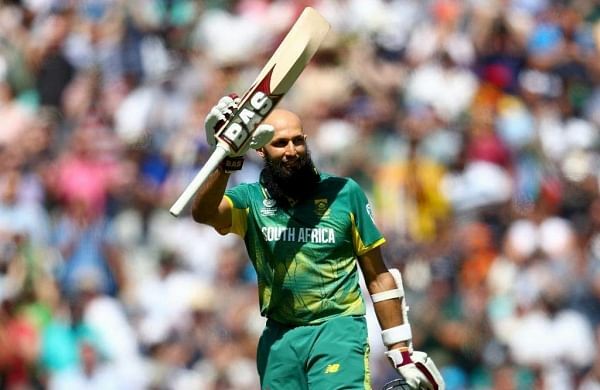 New Indian Express – South African veteran Hashim Amla hit his 27th one-day international century during the first of five matches against Pakistan at St Georges Park on Saturday. South African veteran Hashim Amla hit his 27th one-day international century during the first of five matches against Pakistan at St Georges Park on Saturday. With the century, Hashim Amla became the fastest to 27 ODI hundred. Innings taken to 27 ODI century: Hashim Amla (South Africa): 167 Virat Kohli (India): 169 Sachin Tendulkar (India): 254 Ricky Ponting (Australia): 308 Sanath Jayasuriya (Sri Lanka): 404 The South African opener is only the fifth cricketer in the history of ODI cricket to score centuries. Sachin Tendulkar (49), Virat Kohli (39), Ricky Ponting (30), and Sanath Jayasuriya are the only batsmen ahead of Amla in the list. Despite Amla and new cap Hendrick Rassie van der Dussen (93) putting up a solid 155-run partnership,they were unable to dominate the Pakistan bowling attack.